Traditional arts are featured at the annual Mountain State Art & Craft Fair. The 55th annual Mountain State Art & Craft Fair—recently selected among America’s best 100 craft fairs—has been scheduled Sept. 15-17 at the Cedar Lakes Conference Center near Ripley, West Virginia. More than 100 artisans and 20 food and drink vendors attend the celebration of art, food, music and culture—an event that is actually five fairs mingling around the finger lakes of the picturesque conference center. American, Celtic, Italian, German and Swiss villages within the fair, represent some of the various ethnic groups that settled West Virginia, according to fair president Karen Facemyer. 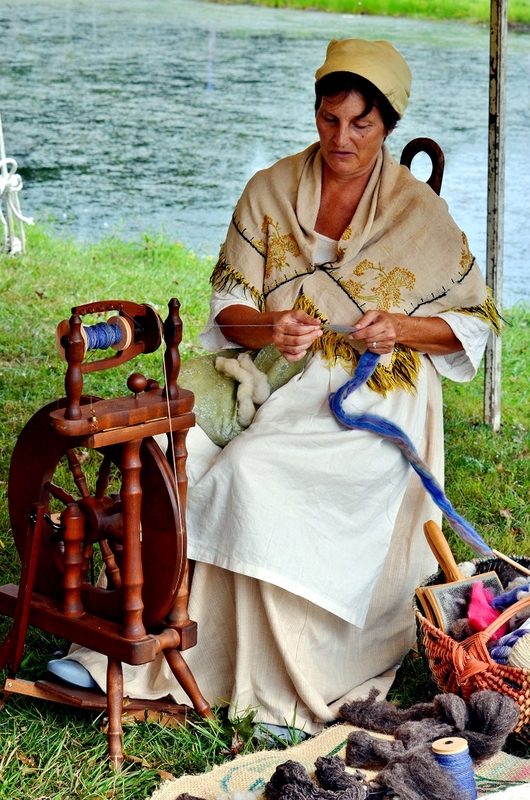 The fair originated in 1963 as part of West Virginia’s Centennial observance and is known as the “granddaddy” of art and craft fairs in the region. The Celtic Village focuses on the traditions of the Scots-Irish and will feature performances by the Kanawha Valley Pipes & Drums and the Appalachian Lads & Lassies. The village square offers the feel and tastes of an Irish pub. In the Italian Village, enjoy a pepperoni roll, the products of West Virginia wineries, and listen to the stories of “Josephine Tarantini: An Italian Coal Miner’s Daughter.” The Euro Mutts are scheduled to provide authentic Italian music. An Oktoberfest setting greets visitors to the German Village. Children may circle the maypole, enjoy a puppet show, and or participate in ornament painting. Its village square includes brews of West Virginia craft beers. The Mountain State was once referred to as “Little Switzerland.” That is reflected through the sights, sounds and taste of the Swiss Village. Kids will make their own masks as worn by the Swiss during Fasnacht. Apple cider is among the refreshment offered. Ethnic music is played by Mon Valley Push. America’s Village is the fair’s largest and includes the colorful attire of Native American dancers, an on-going quilt show and bluegrass music. Demonstrators such as Carolyn Blakemore, whose apple pies have captured national awards, will be in attendance. Fair hours are from 10 a.m. until 7 p.m. on Friday, Sept. 15, and Saturday, Sept. 16. The fair is open from 10 a.m. until 5 p.m. on Sunday, Sept. 17. School groups are invited to attend on Student Day, Friday, Sept. 15. Admission is $8 for adults, $7 for seniors and military personnel, and $5 for children four and older. For those who need such assistance, golf cart shuttle service is available to and from the parking area and between villages on the grounds. For information, see MSACF.com or phone 304-372-FAIR.